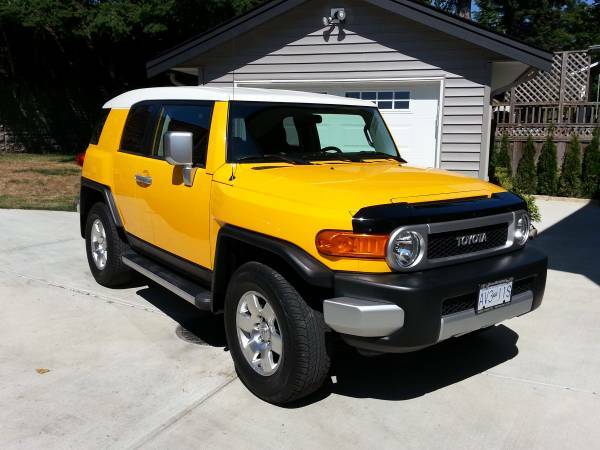 Showing Articles Posted In: "FJ Cruiser"
Toyota Land Cruiser for sale, used 2009 Toyota FJ Cruiser being offered for sale in North Vancouver, like new condition overall inside and out with nice yellow and black scheme, only 152000 kilometers on it. Need nothing ready to off-road. 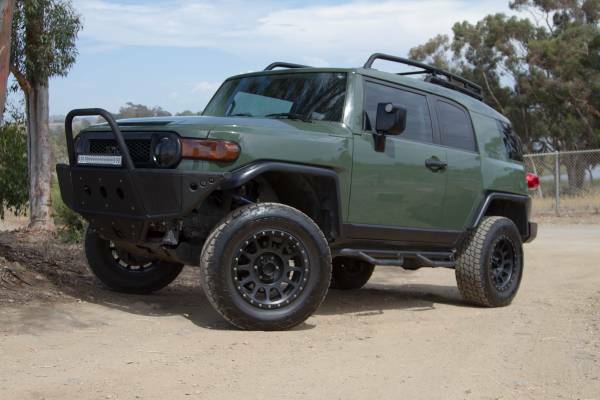 Toyota Land Cruiser for sale, found this a crawler version of the modern Land Cruiser's well known as the FJ Crawler that was looking for a new owner located in Downtown San Diego. 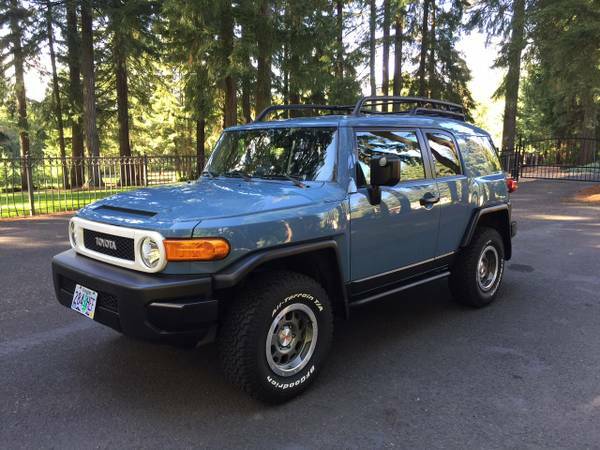 This a limited edition come from FJ Cruiser families were designed and developed to be a greats off-road vehicle. All looks awesome only 14102 miles on it, that's could be a reliable vehicle in any terrain. 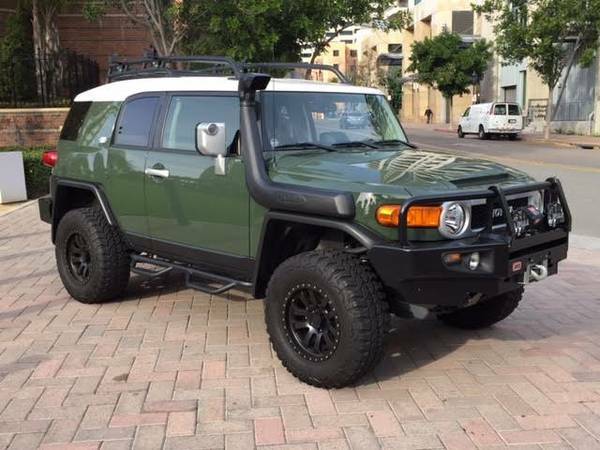 This a rare edition very nice to have one, 2012 Toyota FJ Crawler Edition in pristine condition fairly cool with a Safari snorkel, complete ARB bumper package including a Warn winch and PIAA lamp ect. Toyota Land Cruiser for sale, when you want to find a tough family wagon of any weather and any terrain, this could be perfect for you, is also a very good choice, especially if you take under consideration the Special Edition. Here one of real off-road trucks was designed to be easy to pass through extreme terrain on any weather, inherit capabilities of the Land Cruiser family lineage with modernize appearance are called Toyota FJ Cruiser. As shown here is a special edition of the FJ Cruiser series dubbed the Trail Teams Edition were is available only 2500 units for 2012 model. 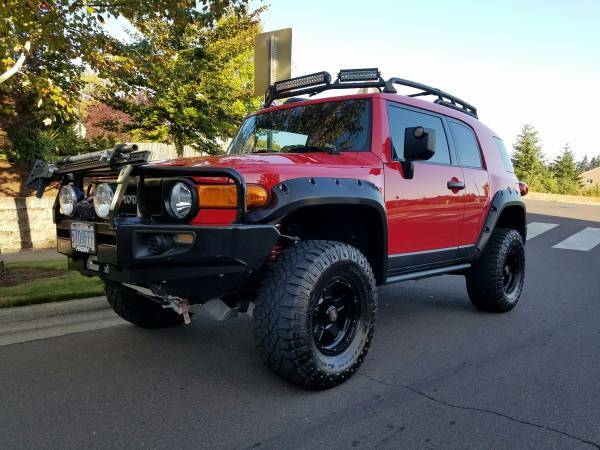 This is a good opportunity to have one, 2012 Toyota FJ Cruiser Trail Teams Edition in immaculate condition come with exclusive radian red exterior paint with black painted door handles, bumpers, and front grille has a low miles, fully load and off-road ready being offered for sale in Seattle, Washington asking $38900.